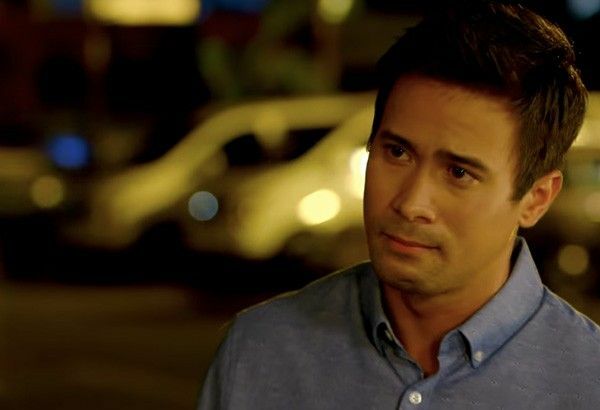 Sam Milby in a scene in "Halik"
MANILA, Philippines — Kapamilya actor Sam Milby’s appearance in the final press conference of their hit teleserye “Halik” was cut short after he was rushed to the hospital. Sam was already included in the photo session of the press conference held in Quezon City recently until host MJ Felipe announced that Sam needs to rest because he feels under the weather. In an Instagram post of Cornerstone Entertainment handler Caress Caballero, she said Sam was broken hearted to leave the press conference. The post also included videos of Sam from the press conference to the emergency room. “FROM PRESSCON TO ER! @samuelmilby was heartbroken when he had to immediately leave the presscon after friends from media welcomed him and the rest of the cast,” the handler said. “He was rushed to the hospital (ER) after their first photo because of fever, dizziness and stomach pain. Sam sincerely extends his apology to the production team, cast and all members of the press / media who came,” she added. “Halik” is currently on its last two weeks and remained as one of the highest-rating soap operas in primetime.